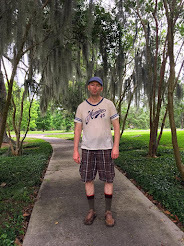 Zombie Logic From Thomas L. Vaultonburg, Outsider Poet: Fug Me? Fug You. After we got home from New Orleans last Friday, we were right back at it, checking out garage sales and the antique mall the next day. Mostly we just missed the kids and wanted to keep moving. We also went junking yesterday for date night, and I just couldn't get into it. 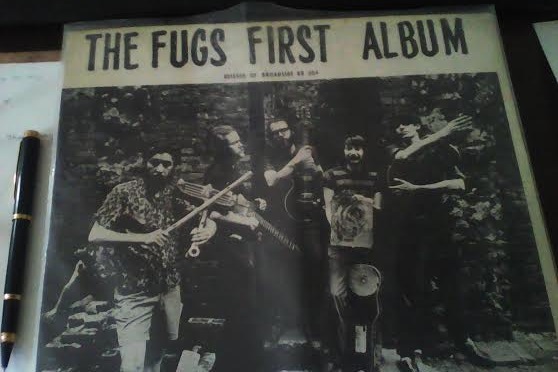 I kept telling Jenny I hadn't even been back here at the apartment to see the last few things I bought, including this copy of The Fugs First Album. I finally got a chance to take a picture of it, but alas, no turntable here. I can maybe listen to it on Spotify. That's the whole update. I'm still exhausted from traveling and worrying about the book release party for The Blood Dark Sea Saturday. I think I might post some Jesus Correa poems I am rehearshing later because he can't be there to read Saturday.